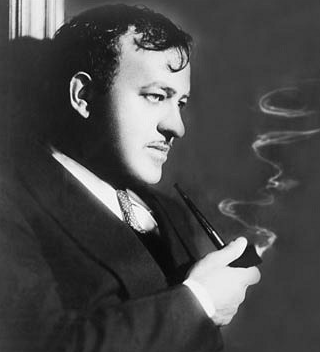 Ben Hecht, the "Shakespeare of Hollywood"
The big question raised by Hecht’s material is what would have happened if Feldman had managed to come to an agreement with EON, and Casino Royale had been made with Sean Connery in 1965 or 1966. Perhaps it would have divided the audience, as Goldfinger took Bond into superspy territory, and even a disfigured villainess might not have been enough for viewers so recently awestruck by the Aston Martin DB5’s ejector seat and Odd Job’s hat, especially if coupled with James Bond watching the woman he loves take her own life. Then again, perhaps it would have deepened Bond as a character and taken the series in a different direction. Casino Royale might even have been regarded as not just a classic Bond film, but as a classic thriller. We’ll never know, but Hecht’s surviving material offers a glimpse into a cinematic genius at work, and an alternate James Bond adventure as rich and thrilling as anything yet brought to the screen.